Kazimir Malevich, Aviator in Victory over the Sun, 1930, gouache and pencil on paper, 24 5/8 x 16". Reconstructing a core component of the 1915 Suprematist exhibition “0.10.,” New York’s Museum of Modern Art installed a dazzling wall of Malevich paintings for its recent show “Inventing Abstraction,” demonstrating the affective power of the Russian artist’s precise geometries and the necessity of seeing them in a historically specific framework. 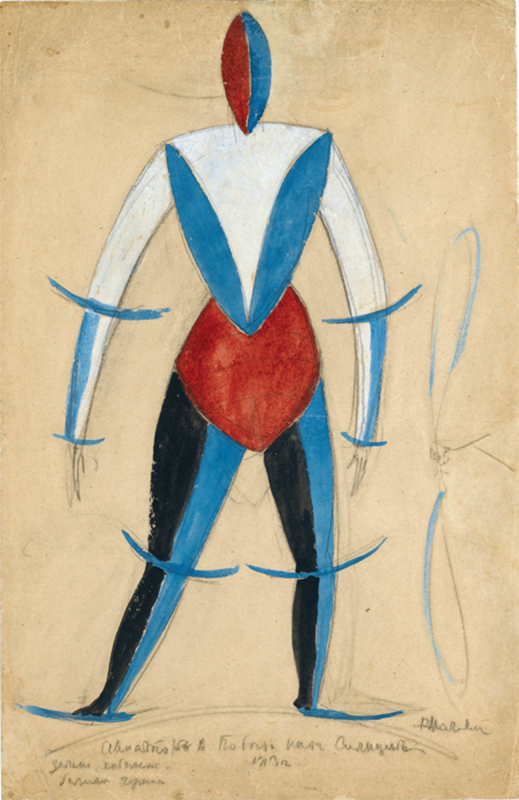 This fall, the Stedelijk will place Malevich even more firmly in context as it gathers some five hundred items (uniting its own prized Khardzhiev collection with the renowned Costakis collection), including pieces by twenty-two of his Russian contemporaries. These contextual figures are all avant-gardist, however, despite the exhibition’s welcome emphasis on the titular artist’s later figurative works, which were made in dialogue with various strains of Soviet realism. The unapologetically modernist narrative here suggests that the avant-garde remains Russia’s most reliable export art. Travels to the Bundeskunsthalle Bonn, Mar. 12–June 21, 2014; Tate Modern, London, July 17–Oct. 26, 2014.